The Adventures of Sherlock Holmes. Photo by Richard Termine. Romeo and Juliet. Photo by Richard Termine. Adventures of Sherlock Holmes. Photo by Richard Termine. Philoctetes: 2016 NYC. Photo by Richard Termine. Sophocles' Philoctetes. Photo by Dan Gorman. Sophocles' Philoctetes. Photo by Richard Termine. Wuthering Heights. Photo by Richard Termine. The Tempest. Photo by Richard Termine. A Female Philoctetes Workshop. Photo by Richard Termine. 2014 Brooklyn Academy of Music, NYC. Twelfth Night. Photo by Richard Termine. Fahrenheit 451. Photo by Richard Termine. Much Ado About Nothing. Photo by Richard Termine. Agamemnon. Photo by Richard Termine. Cyrano de Bergerac. Photo by Richard Termine. Macbeth. Photo by Richard Termine. Herakles. Photo by Richard Termine. Six Characters in Search of an Author. Photo by Richard Termine. Catch-22. Photo by Richard Termine. The Importance of Being Earnest. Photo by Richard Termine. The Comedy of Errors. Photo by Richard Termine. A Very Naughty Greek Play. Photo by Richard Termine. The Iliad: Book One. Photo by Richard Termine. A Midsummer Night's Dream. Photo by Richard Termine. Prometheus Bound. Photo by Richard Termine. Arts Midwest today announced $1 million in grants to 40 nonprofit, professional theater companies across 26 states, plus the District of Columbia, to perform the works of William Shakespeare for students through Shakespeare in American Communities. The awards mark the fifteenth consecutive year of Shakespeare in American Communities, a national program managed by Arts Midwest in partnership with the National Endowment for the Arts. THE DIANE REHM SHOW "A CONVERSATION WITH THE NEW CHAIRMAN OF THE NATIONAL ENDOWMENT FOR THE HUMANITIES." Listen to Chairman Adams discuss the impact of the ancient Greeks and Aquila Theatre's "WarStories," presented November 11th, 2014, Veteran's Day, at New York University's Hemmerdinger Hall, on NPR's The Diane Rehm Show here. BACKSTAGE NAMES AQUILA THEATRE TOURING COMPANY MAKING A DIFFERENCE. 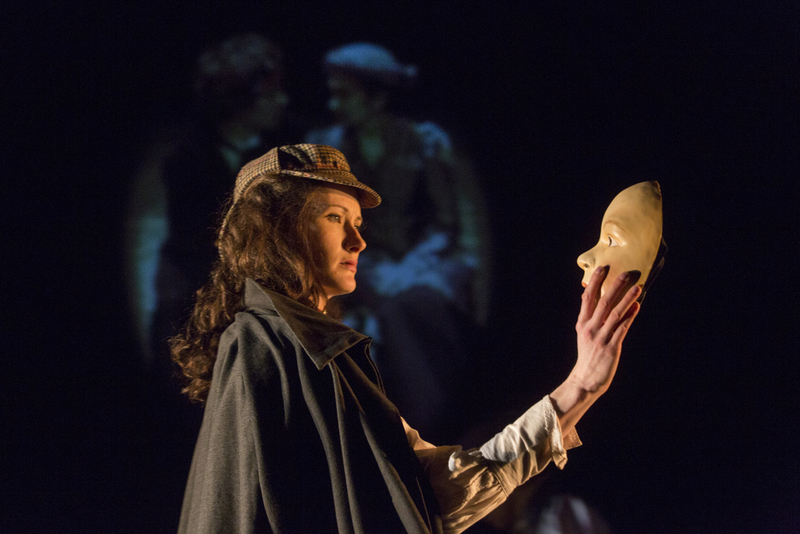 Backstage names Aquila Theatre one of twelve touring theater companies making a difference in the United States with its annual national tour, continuing to bring the greatest works to the greatest number. THE NATIONAL ENDOWMENT FOR THE HUMANITIES ANNOUNCES $22.8 MILLION IN AWARDS AND OFFERS FOR 232 HUMANITIES PROJECTS. The National Endowment for the Humanities awards Aquila Theatre $350,000 in support of Warrior Chorus. HUMANITIES: THE MAGAZINE OF THE NATIONAL ENDOWMENT FOR THE HUMANITIES. Aquila Theatre's A Female Philoctetes and You|Stories is featured in Humanities: The Magazine of the National Endowment for the Humanities March/April 2015 Volume 36, No. 2. 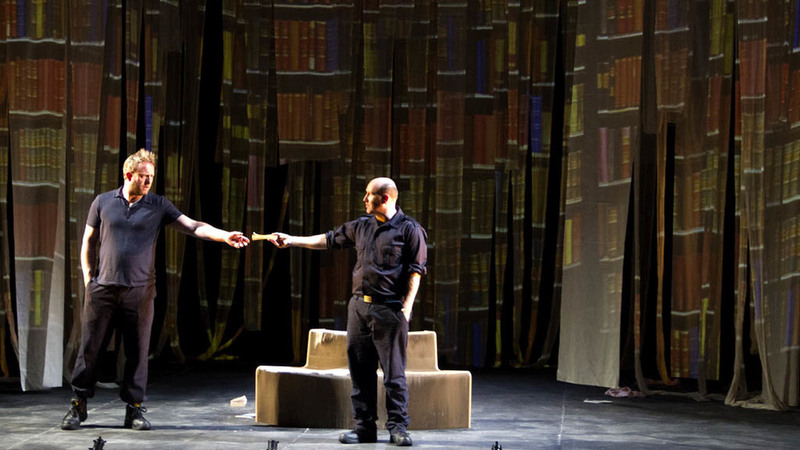 DC METRO THEATRE ARTS NAMES AQUILA THEATRE'S 2013/2014 PRODUCTION OF RAY BRADBURY'S FAHRENHEIT 451 ONE OF THE BEST PLAYS IN PROFESSIONAL THEATRE. 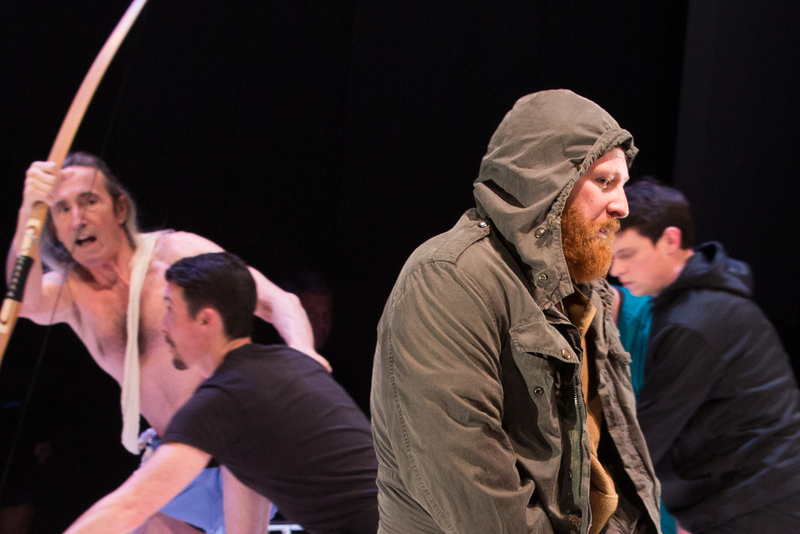 NPR "VETERANS 'PHILOCTETES' PUTS A MODERN SPIN ON ANCIENT GREEK PLAY." "An ancient Greek play about the wounds of war is getting a new angle in A Female Philoctetes - a production made up of mostly Iraq and Afghanistan veterans." Listen to the story here on NPR's "All Things Considered."